Caption slip reads: "Monday. Photographer: Richardson. Date: 1956-03-01. Reporter: Swaim. Assignment: 'Grampa Moses'. Ontario. K25-26-16: William H. Eckles, 86, retired farmer-plumber, working on painting in home garage, which he has converted into art gallery. 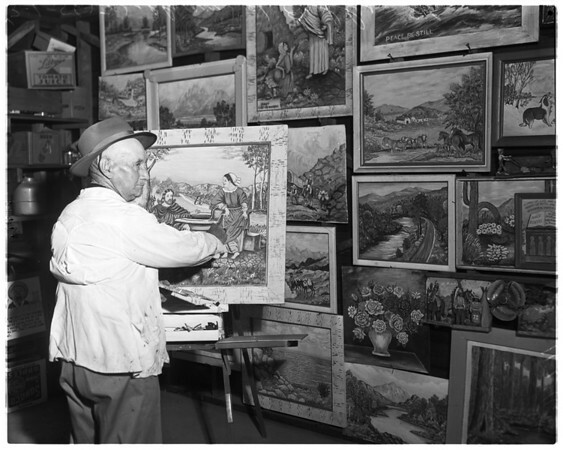 K15: William H. Eckles, 86, working on door mural of California redwoods on his garage door".